But what if, it’s chocolate that we’re talking about? 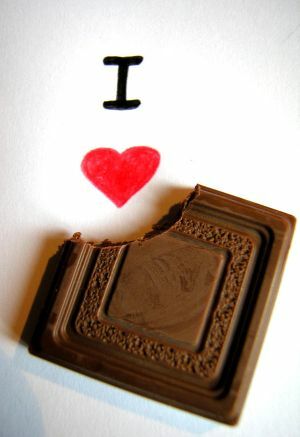 I looove chocolate. Letting go?? Hell no!!! Chocolate will never fail to make me happy 🙂 It always brings me back my mood that’s somehow able to escape from me. Well, there are times when chocolate let me down. During highschool, it made my face full of freckles ;p I had to say goodbye to my beloved Snickers, Cadbury Black Forest, M&M, Silver Queen *ooops, advertisement detected eh? Sorry, too lazy to censor it ;p*. But goodbye is not for long, coz I think, chocolate loves me now, haha. “Happy Valentine, dear chocolate, in whatever form you take. Coz I want you for myself. Please, be always there for me when I need you.